There are many applications and tasks that require nails, from putting up picture frames to building furniture. This can be a tough and time consuming manual task but an electric nailer can help. Powered by the interchangeable One+ lithium batteries, our collection of Ryobi cordless nail guns make light work of many jobs, while providing all the power you would expect from a cordless nailer. 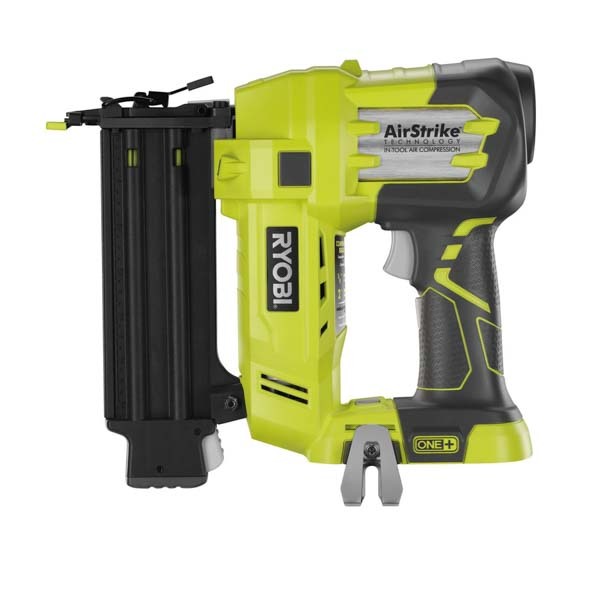 If you are reupholstering a chair, installing skirting boards, or carrying out extensive work on a jobsite, then you need a Ryobi battery operated nail gun. 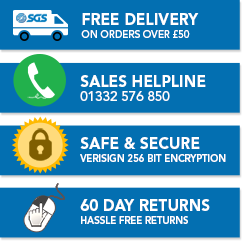 At SGS Engineering, we have a number of models available, so you can find one at your desired price point. Available in 16 and 18-gauge options, Ryobi nail guns provide power without the noise. This is due to Airstrike technology, which means they operate without cartridges or compressors. You can choose between two modes: bump and sequential. The first activates on contact, delivering 60 nails in a single minute, while the second allows more control for precision work. Ryobi nail guns are also practical, too. With a blue light to indicate low nail levels, you can quickly reload and continue with your work. While the release button quickly clears any jammed nails. Furthermore, they’re also lightweight, coming in at 3.9kg for the 16-gauge model, and 2.8kg for the 18-gauge. Plus, with a handy belt clip, you can always have your Ryobi ONE+ nail gun on hand. Save time and energy by purchasing a Ryobi nailer from SGS Engineering. Invest in your new Ryobi battery powered nail gun before 4pm today, to make sure your order is shipped by the next working day.